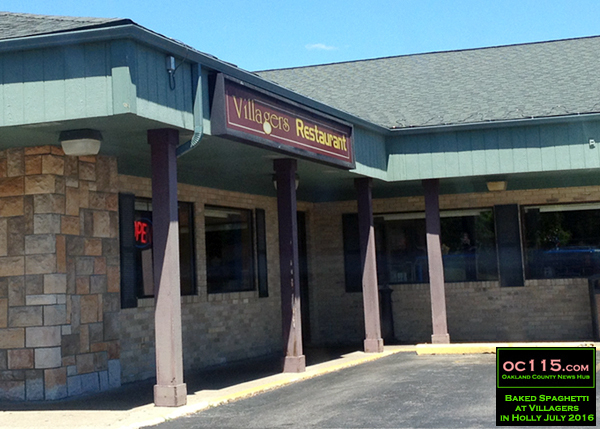 Holly, MI – I spent some time “up north” in Oakland County on the fourth of July weekend and had an incredibly good lunch at Villagers Family Restaurant at 11121 N. Saginaw Street in Holly. 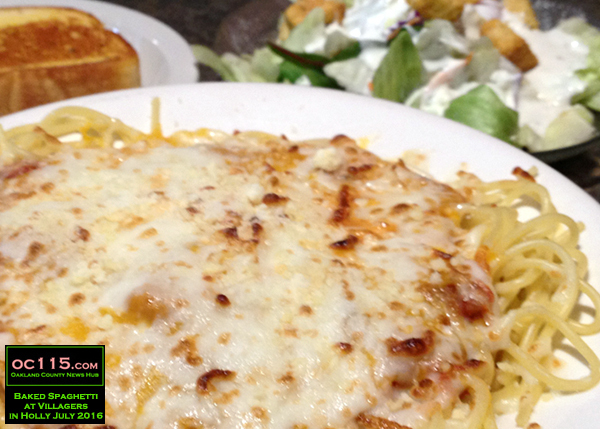 The menu is full of a variety of home-style meals, but for some reason the idea of home-style tomato sauce on the four cheese baked spaghetti drew me in. I’ve been trying to eat healthy foods, but tomatoes and tomato-based sauces were never very good to my taste-buds. But tomatoes are so nutritious that I want very much to work them in. I figured seeing how a restaurant does freshly prepared sauce might be just what I needed. And it was. The tomatoes seemed fresh and the sauce did not have any bitterness or tang to it, which was one thing I’d always disliked about traditional canned sauces. Theirs was light and flavorful with big chunks of tomatoes that tasted great. 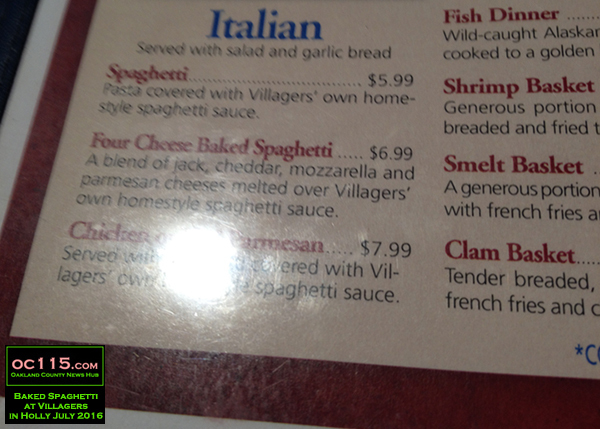 It came with a side of garlic bread which was perfectly soft with the right amount of crisp to the buttery top. It also came with a side salad which was pretty standard – lettuce with some shredded carrots and cabbage covered in blue cheese dressing. The meal was enough to take leftovers with me for dinner later that evening and middle of the night writing snack. As I get healthier I feel like there will not be too many more comfort food lunches like this, so it was very nice to indulge. And to finally bridge the gap to liking tomatoes. Since eating this at Villagers, I’ve been experimenting myself with tomatoes in my meals. So I am extra happy about this visit. The service was nice too, and now there are oc115.com fliers on the bulletin board! 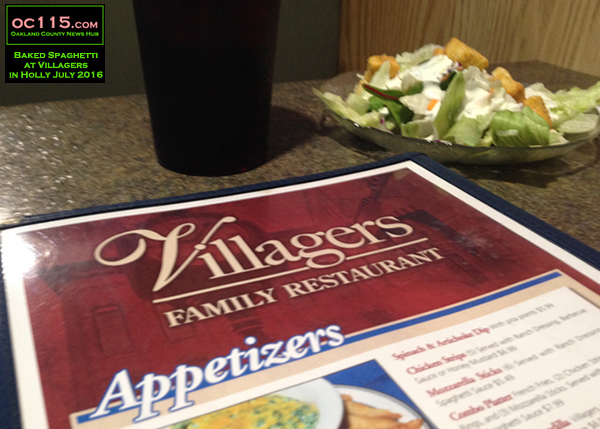 Here is the website if you’d like to check it out yourself: http://www.villagersrestaurant.com/index.htm.